As some of you know i recently upgraded my make up storage as my little wooden drawers from ikea were overflowing, so i decided on some plastic stackables from muji. I thought i would show you the finished look & a sneek peak at my make up! 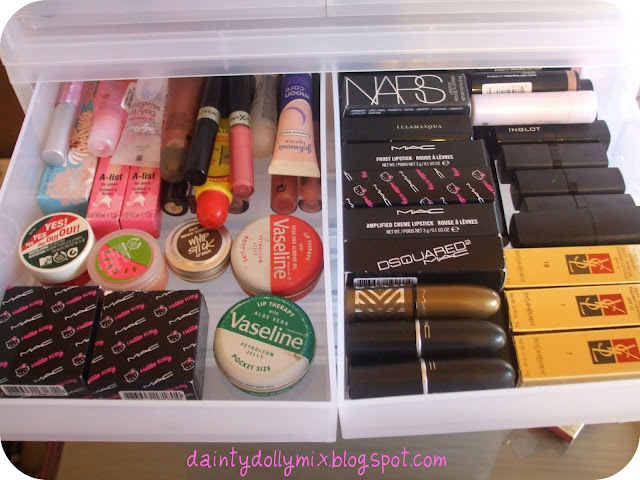 Where/how do you gorgeous girlies store your make up? The muji storage looks lovely. It stores more than I thought it would too! LOL at all your boxes! My bf makes me throw them away! so neat and organised, lovely, mine is a big fat mess! !haha!I try, clean it all up and make order then 2 days later a tip!I have my own makeup room at home which I love and Muji makes up the most of storage solution too! Love the drawers babe, think Ill get myself some, gone off my pink and black ones now. OOOh I love the storage you got going on babe! I think those muji drawers look wicked! You have a lovely, enviable collection. Love how you keep everything pretty in their original packaging! I wanted to do this post today but I was too ashamed on the state of my collection. I think I will revamp it and then post it!! I definitely will! My make up collection seems to be expanding so quickly after the discovery of lovely beauty blogs haha! 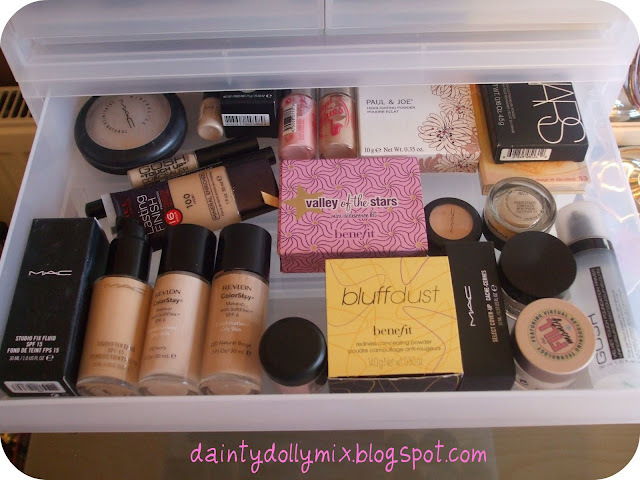 I store my makeup similar to yours, and it really does help keep everything organized! You have inspired me to sort my collection out! 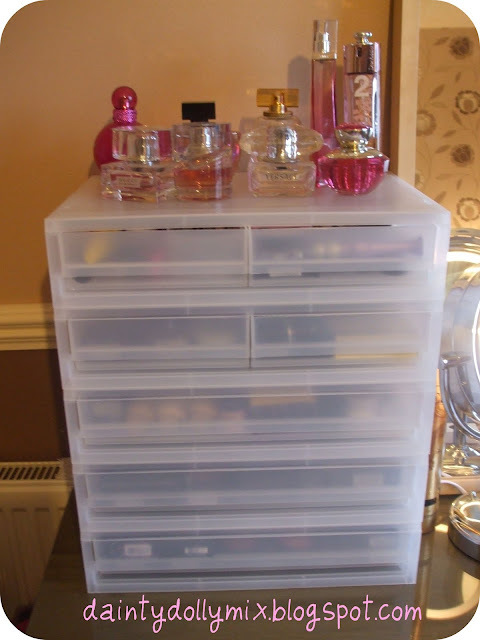 Love it(: So organised and just lovely! How great are Muji?! I never noticed these before, I just have the normal clear,thick plastic ones but I love them anywway! Ooo, love those draws & whats in them!! I'm defo gonna get some of these drawers, they're perfect aren't they! I so envy your organisation!!! so neatand clean looking..myn is in suc a mess.. Very Neat & Organized! I love it! Great collection :) It's cute how everything is still in boxes! 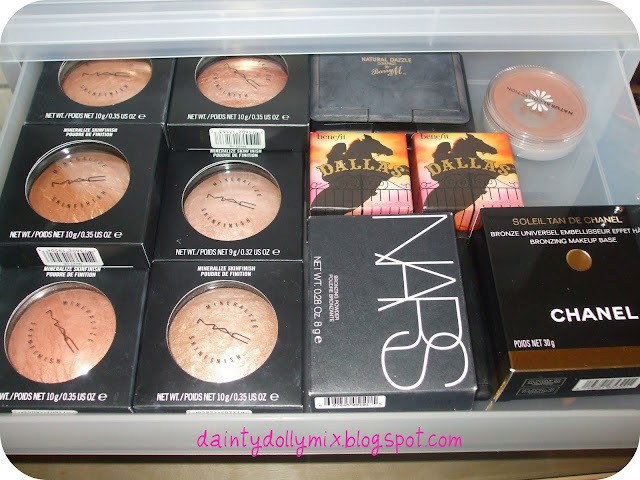 You seem to love blushers and bronzers ^^ love the colours you have! A very tidy and neat collection!! I'm jealous!! you have a great collection and im a little jealous. I love your Storage Sinead.. Everything is so organized and Neat; I see you have some great taste and products ; btw I love your complete Neutral Palette as we've discussed were neutral kind of girls LOL! I love your palette. 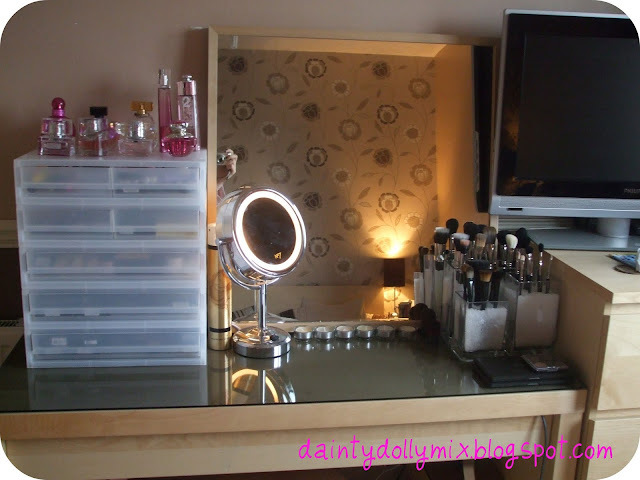 Love your vanity area, everything's pretty and organised! Love your set-up! 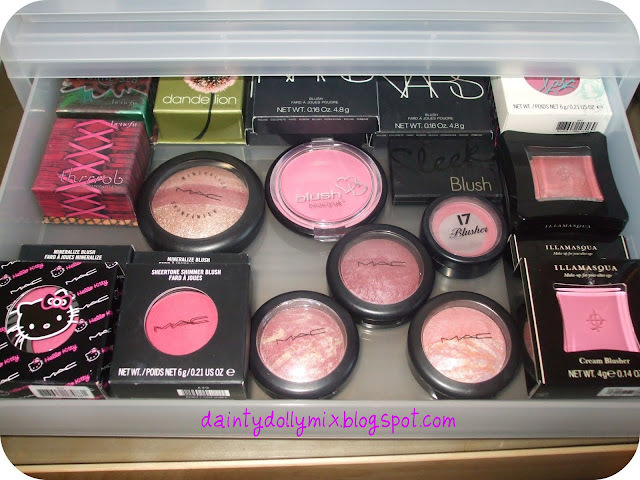 I need to re-organize my makeup it's so all over the place right now. I'm going to look into those muji drawers, thanks for the idea! I'm also looking for some ideas to storage my make up. This is great and tidy! I`ve got the Ikea drawer. I bought it few months ago and I haven`t painted it yet. Your new makeup storage looks great. Wow, thanks so much for posting this. I have been looking for a storage solution for ages and those are perfect. Which sizes are they? Three A4s and two A5 two drawers? I do the same as you but mine is in this huge 3 drawer blue cart just about am in love with it. Awww, so pretty and organized! And the products are amazing!! And it seems we share the same taste for foundation! I absolutely love the idea of those drawers! I have been searching the internet and these are my favourite, but I have been on the site and can't find them anywhere? Just wondering if you have the direct link to these drawers as they would be perfect for me! love how neat and organized your storage is! i have the same vanity and mirror for my set up too! wow! 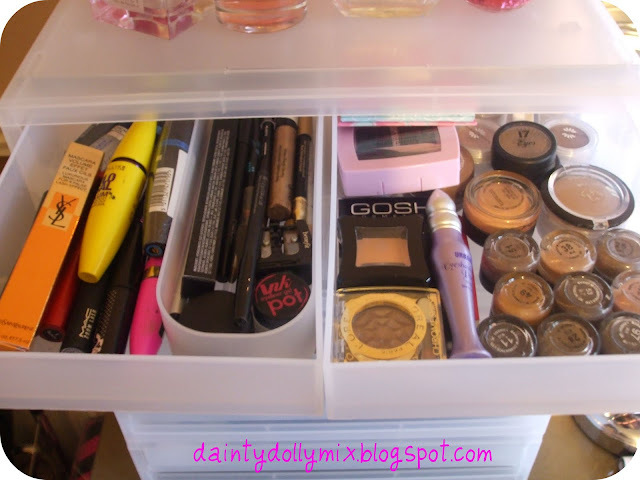 you're storage is fab... are those little stone things where you store your brushes? if so, thats an ab-fab idea! Your storage system is fab! ive been looking for something like this for such a long time! and still havent found the right things! i need to get with the times lol. Ikea also sell a similar range of boxes like those that are about £6-£15 each! I might do the same!! Good organising! !